I have a serious craving for good dim sum (sorry, Seattle, you just don’t do it for me in this department), so I persuaded my +1 that we had to go to Vancouver. I dangled a lacrosse game in front of him, because he’s been heartbroken since the Seattle Stealth uprooted, crossed borders into America’s hat, and became the Langley Vancouver Stealth. 1600 – The Mister is done with work, he picks me up, we head off. 1830 – Mister needs to find a BoA ATM. Last ATM before border? Lyden. Time for a detour. Why are we going into the woods? Why is there a BoA ATM in the woods? Ok, no werewolves – Front Street in Lyden looks pretty cool. Heavy rain, streaky wipers (it’s Washington State after all). Another detour to O’Reilly for new wipers. 2000 – Ah, near Vancouver! We arrived at Richmond. Why? Sheraton Vancouver Airport is a Category 2 SPG property, and costs just 3000 Starpoints on weekends. A steal, in my opinion! 2020 – We checked out the Sheraton Club Lounge, which I gained access to with my Amex SPG Business card. They have some potstickers, egg rolls, and chicken popcorn. Mister is happy to get some food. 2040 – We planned to get some cheap sushi (thanks, dropping Canadian currency! ), but as it turns out, almost all the good ones close at 9pm. On a Friday night. 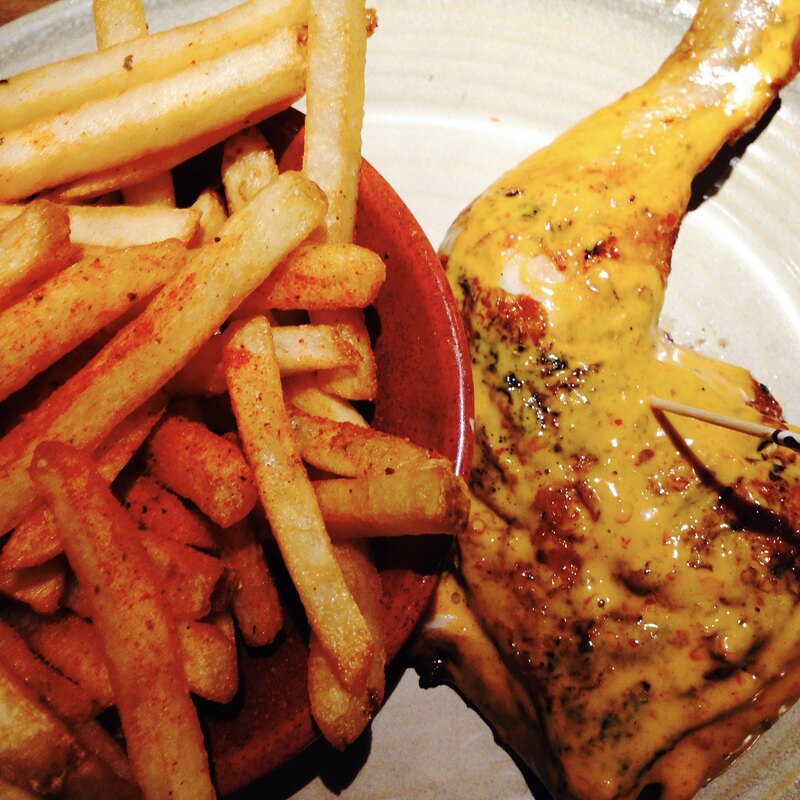 2050 – Plan B (aka my evil masterplan) – Nando’s. The chicken that I’ve driven across two borders for (they used to not have outlets in Singapore, and I’d drive over to Malaysia for their flame-grilled goodness). It was awesome. I had a quarter chicken with an extra spicy sauce. Mister is not a chicken or spice fan, and munched down his chicken sandwich with herb and lemon.